Våre kollegaer i den tsjekkiske frilansportalen «Na volné noze» inviterer leserne av Frilansinfo.no til europeisk frilanstreff i den historiske (og vinproduserende) byen Valtice. Det er satt av seks plasser til norske deltakere. Ta kontakt med Frilansinfo.no via kontaktskjemaet eller epost (hei KRØLL frilansinfo.no) hvis du vil delta. Oppgi nettadressen din. 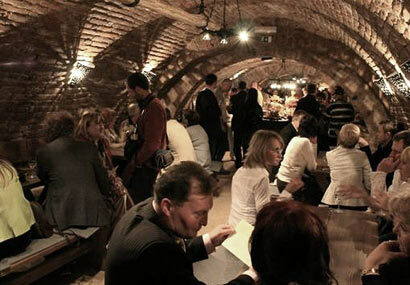 We would like to invite you to the 4th annual gathering of Czech freelancers, which will be held on the last weekend of May 29-31 of 2009 in the UNESCO-protected winemaking town of Valtice. The gatherings are organized since 2006 by our web portal www.navolnenoze.cz which is the only large-scale freelance community project in the Czech Republic, uniting hundreds of freelancers. This is the first time we invite foreigners to join our friendly gathering of independent professionals. We are very interested in meeting freelancers from other countries, especially members of similar communities as ours. I am sure we all have much to share, so let’s explore the possibilities together. Social spirit would be open and rather informal, with a pleasant meeting area to discuss various topics during the day and a great party in an unique wine-cellar on both Friday and Saturday evening(se bilde over, red. anm.). 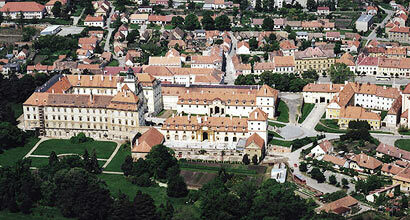 On Saturday afternoon you can even join a soccer match or a guided walk around the town. Participant fee for the whole weekend would be as low as 39 euro, including our on-site support, non-alcoholic drinks in the meeting area and an evening with wine-degustation along with a light catering. We have booked 36 budget beds for our international guests, which you can rent for approx. 10 euro per bed and night. Rooms are simple and clean, 3 beds each. If you prefer mid-range or top-end accommodation we can book it for you as well. The registration and payment deadline is 15th of April 2009 and we will accept wire transfers and PayPal as well.